Ordered a kit recently from Flashback Ltd and I have a 10% discount code. If anyone wants to save on a 4-Play, shoot me a PM. Another Choose your wespon. This is the controller I used for Red Robin in the last HyperScore tournament. It was pretty comfortable. Put a FB link in my last post up there but it's not showing up. Choose your weapon! The success, popularity, and quality of Sony PlayStation 2 quickly led to it being the world's best-selling gaming console. As always, with great console comes great controller and the DualShock series persists to this day! Given the console's successes, there's a wide variety of cosmetic controller variants. One of my favourites is the Samurai/Ninja Face-Off set from Game Elements' Freak Series II Collectors Edition Control Pads! Model numbers GEPS2F3 and GEPS2F2, respectively. Each beautifully sculpted, fully functional controller sits atop an equally gorgeous molded stand. These feature an impressive level of detail, right down to the carefully embossed plugins and the light-up eyeballs and gems that double as Start, Select, or Analog buttons. Each character also comes with a removable face mask that can be mounted on the stand along with the controller and plugin, ensuring the whole masterpiece is on display! These are a great addition to any gamer's arsenal! Hello all, just want to drop off the current progress. First, the API is ready and working great thank to the help of the beta team. The 2.0 firmware that will be required to use the API is in the final stages of controller testing (help still wanted). See the images below for a few API screen shots as well as the videos on the FB page. 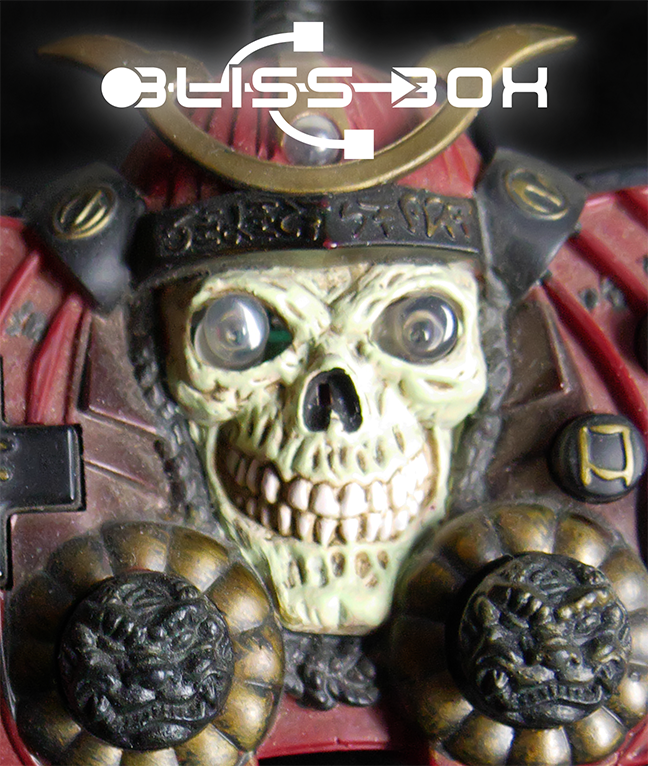 There has been some personal interested with the people involved in Bliss-Box and Hyper-Spin. So do not take the lack of posts as a sign that we are not alive and well I would also have to suggest using our FB page for the most recent news. 2) API software: as talked about above. 4) Cables: Yes we hope to get the cable produced this year at the same same as the Gamer-pro production. We are planning to get a few cable made that are not yet available. 5) With the API being open source and available, we hope to see front-ends and emulators start talking to the 4-play natively. We wish you all a great holiday season as that approaches and hope to have a great year in gaming! I am an owner of the bliss box but have not used it since moving into a new home. My dream hyperspin setup was to have both traditional arcade controls and my bliss box setup so that I could go between consoles in hyperspin and switch to the appropriate controller for the systems without doing anything other than plugging the controllers in. When I last worked on this it was proving to be very cumbersome. Has anybody been able to successfully pull this off. To be clear, I mean by staying within the hyperspin front end environment and not having to enter any settings whatsoever when switching between systems and switching to that systems controller. I'm sure Ninjy will be along momentarily. Does anyone speak French well? 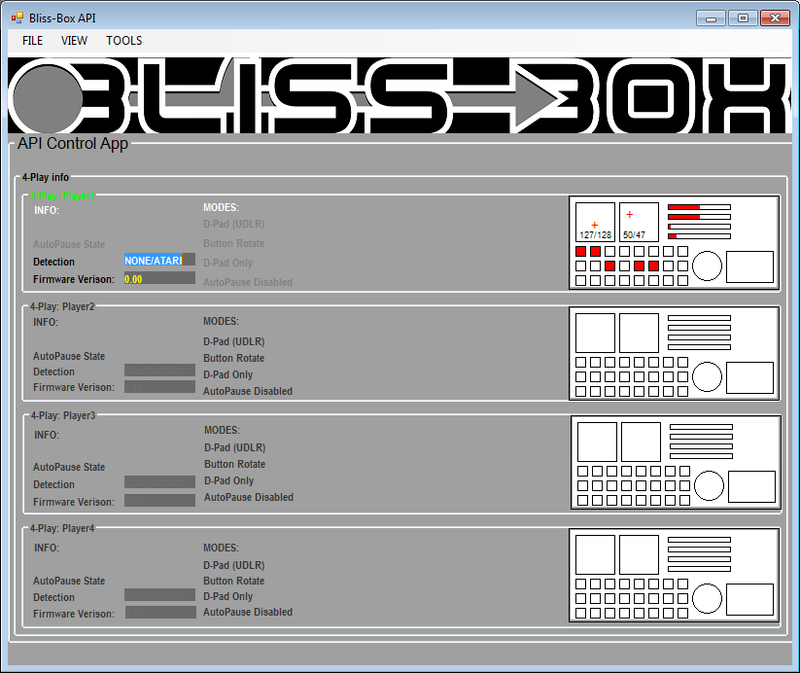 A user needs help with the Bliss-Box and is not sure where to start. He does not speak English fully and hopes to find a French speaker. Tell him to just type it all in French and translate it with Google translator; their tool has improved a lot and you will understand it all I'm sure.